Shop Lyle and Scott sales from hundreds of stores at once. Starting out as a knitwear company in the Scottish town of Hawick, this brand has certainly laid its mark in the world of golf, indie pop and fashion conscious men everywhere. Shop the Lyle & Scott sale and fuses heritage with fashion forward looks. How do I hear about new Lyle and Scott sales? 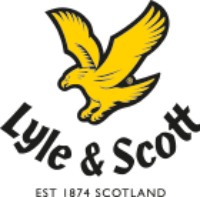 Follow Lyle and Scott on Love the Sales and get email alerts for new products on sale.